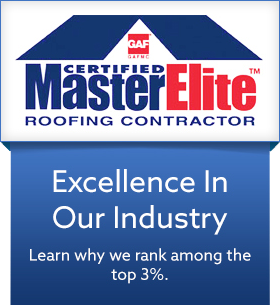 Every major roofing project has standards that, when followed, mean ultimate success. Roofing, however, is an ever-changing industry, and the continuing advancements in technology, installation techniques and materials can be hard to keep up with at times. V. Nanfito Roofing and Siding, Inc., the leading roof repair company, talks about a few of the recent changes and requirements that it would be wise to stay abreast of. Installing polyvinyl chloride material, or PVC, allows you to future-proof your roofing somewhat. If you’re looking for a synthetic plastic polymer for your roof, PVC fits the bill because of how it meets the industry’s sustainability standards. Roofing experts used to scoff at using PVC as a roofing material, but recent advances with this material have since proven them wrong. ASHRAE, or the American Society of Heating, Refrigerating and Air-Conditioning Engineers, has established minimum R-values for different climate areas in the country. There are eight climate zones, and the complete chart is available on their website for reference. You can ask your roofing contractor, however, about the right insulation type for your area. How to calculate for wind loads is always changing in the roofing industry. That’s why manufacturers continue to research and develop new roofing products that can prevent the damage brought about by storms and wind-driven rain. Keep up with the times by installing quality roofing materials guaranteed to withstand even the toughest weather conditions. At V. Nanfito Roofing and Siding, Inc., we offer GAF roofing products guaranteed to protect your home from any type of weather. Our roofing experts can provide solutions for your needs because we’re always up-to date with the latest trends and the best practices in the industry. Call us today at (203) 639-1634 or fill out our contact form to get a free project estimate.